Cyril Genot finished 3nd overall this weekend in Heerde for the first ONK Race. A week after his podium in Germany, Cyril Genot was participating in the Netherland for the ONK championship. 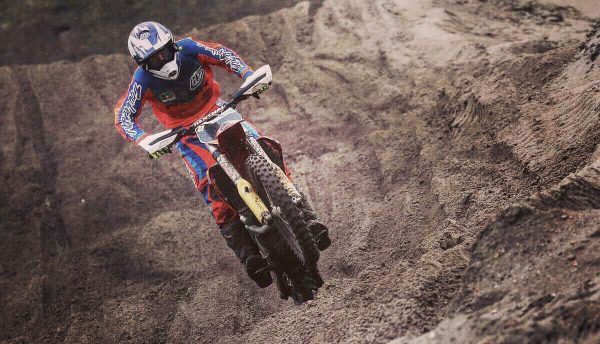 In addition to his participation in the ADAC MX Masters Cyril decided with his Team, Falcon Motorsport, to race also the Dutch Motocross Championship ONK. The opening round was taking place this weekend in Heerde and for the first time of his young career Cyril was behind the MX1 gate with his KTM SX-F 350. The day started well with the 3rd Lap time in the qualifying. First moto, Cyril took a good start in the top 5 which allowed him to take a good rhythm and stayed in contact with the leaders. After few laps Cyril went to 3rd and started riding without taking any risk to finish at this position. Last Moto, another good start for Cyril. Second at the first corner he quickly took the lead for two laps. Though comfortable in the sand but still in preparation for the ADAC, he saw the recent 4th at Le Touquet, Yentel Martens, coming and passing him followed by Rick Santik. Cyril finished third after showing already good speed for his second race with the big boys. A confident third overall this weekend, the young Belgian is showing a lot of progress every weekend. The bike is fitting is riding style and it looks like the perfect combination to express his talent. Next race, next week, ONK in Mill.